One person was killed and 26 others injured on Sunday in the Turkish border town of Kilis after rockets were fired from a region of Syria controlled by so-called Islamic State. 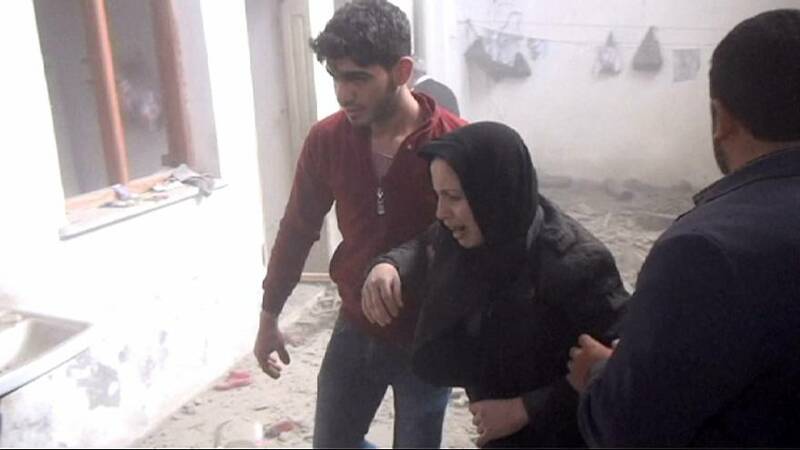 Houses and a mosque were hit in two separate rocket attacks during the day. Turkish soldiers near the border returned fire into Syria, security sources said. Kilis, just across the border from Syria, is housing an estimated 110,000 Syrian refugees. Some of Sunday’s casualties were Syrians. Yet such bloodshed is nothing new. Rocket fire has become a near daily hazard, killing 16 people in the border province since January according to Turkish media. A Kilis shopkeeper, who has experienced it first hand, talked to Euronews. “I was sitting in front of my store,” he said. Fear has gripped the population. After the latest bloodshed, some called for local officials to resign and slammed the government which has promised to protect the area from repeated attacks by ISIL. Prime Minister Ahmet Davutoglu has pledged that all necessary measures would be taken to prevent more rocket fire into Kilis. On Saturday he visited the nearby city of Gaziantep, about 55 km away, together with German Chancellor Angela Merkel and European Council President Donald Tusk. Merkel had been expected to visit Kilis last weekend but the location and timing of the visit were changed.